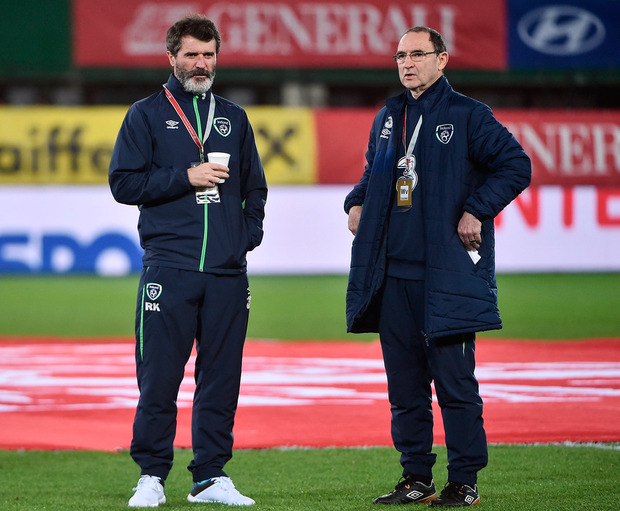 The draw for the inaugural UEFA Nations League takes place in Lausanne tomorrow (Wednesday, 11am Irish time) by which time it is expected that Martin O'Neill will have signed his new Ireland contract. Ireland are one of 12 countries in League B (there are four leagues, from A to D) of the new Nations League (which replaces the traditional friendly games). There will be four groups of three teams, so we will face three from: Austria, Wales, Russia, Slovakia, Sweden, Ukraine, Bosnia, Northern Ireland, Denmark, Czech Republic or Turkey. If Ireland win their Nations League group, they will be promoted to League A and standings from the Nations League will define the seedings for the draw of the Euro 2020 qualifiers proper. December 2018: Draw for Euro 2020 qualifiers made. March 2019: The Euro 2020 qualifiers proper start and will be played in March, June, September, October and November 2019, with 10 groups five groups of five teams, five groups of six). The winner and runner-up in each of the 10 groups qualifies automatically for the Euro 2020 finals. March 2020: Play-off matches for the remaining four places at the Euro 2020 finals. Teams who win their group in the Nations League, but who did not qualify via Euro qualifiers, offered a route to Euro 2020 finals, with one team from each of the 4 Leagues promised a play-off place. So teams from League D (Armenia, Latvia, Moldova, Faroes) have a chance of qualification. June 2020: Euro 2020 finals start, Dublin one of 13 host cities. All 55 UEFA members will compete in the tournament designed to replace traditional international flriendlies. There will be four leagues with each countries' world ranking determining if they will play in Group A, B, C or D. Group A (the strongest group) and B will be made up of 12 teams with B with C consisting of 15 and 16 respectively. Each group will then be broken down into 'mini groups' with Groups A and B split into four groups of three; C will be three four-team groups and one group of four wile D will contain four groups of four. Matches will be played on a home and away basis. Due to a decision of the UEFA Executive Committee, Armenia and Azerbaijan cannot be draw in the same group. The draw will be screened live on Sky Sports and streamed by UEFA via their website and social channels. You cal also follow the draw and reaction on Independent.ie's live blog.